CubeSats, standardized spacecraft platforms which consist of a number of cubes of 10x10x10 cm3, provide practical, reliable, and cost‐effective launch opportunities. To reduce the size of the spacecraft, you also need smaller electronics without reducing their capabilities. 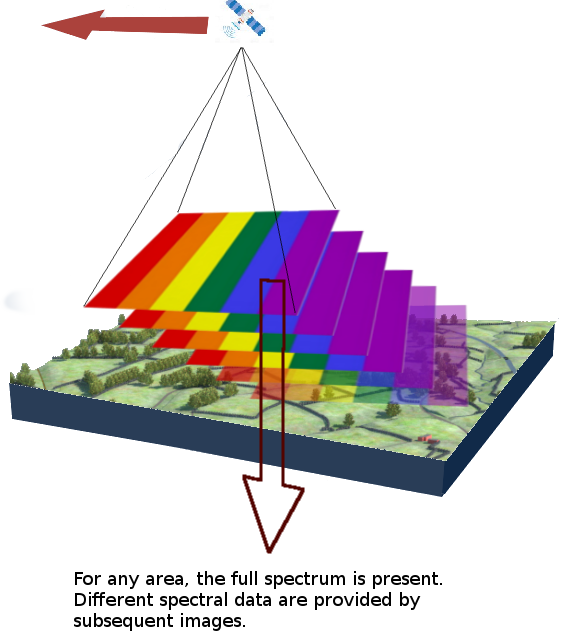 Meet HyperScout, a hyperspectral imager observing in 45 visible and near-infrared spectral bands to provide data products for agriculture, forestry, disaster management, etc. With its successful launch earlier today, satellite hyperspectral imaging has reached a new phase of maturity. 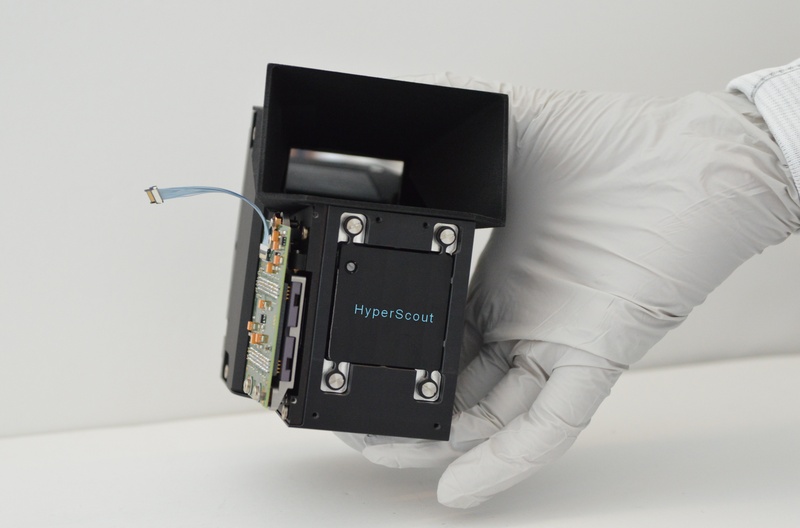 This new HyperScout in-orbit demonstration project allows us to set a new benchmark by combining hyperspectral state-of-the-art technology with the revolutionary CubeSat capabilities. HyperScout was launched successfully on board the GomX-4B 6U platform to an orbit 540 km above the Earth. The instrument operates in pushbroom mode with a linear spectral variation in the along-track direction. This means that the instrument acquires frame images that have a spatial and a spectral dimension; the second spatial dimension is built over time by sequentially recording a continuous series of 12 Mpx frames resulting in a huge data volume per orbit, which is one of the important HyperScout challenges. The bottleneck of the technology is often the limitation in data processing and downlink capacity. This limitation obviously is a lot more stringent when hyperspectral data acquisition is performed. Moreover CubeSat systems have only very limited power available, which reduces the possible data downlink to very low volumes. This makes operational downlinking of all raw image data captured on the HyperScout system an unrealistic scenario. To overcome platform power and size constraints, HyperScout is equipped with an onboard payload data processing workflow that extracts relevant high-level information/maps, as an alternative to downlinking all sensor data. We’ve had some exciting times behind us being involved in earlier phases in defining, optimizing and downsizing the level 0 to Level 2a processing flow up to a level which makes it compatible with the processing power for a CubeSat on-board computer. After launch, HyperScout enters a commissioning phase where most of the payload functionality and health (power, imaging, etc) will be demonstrated and subsystems checked. The control and execution of the commissioning and operational activities will be commanded by the ground segment. HyperScout is expected to become fully operational by April 2018. The on-ground validation campaign of the algorithms (L1 to L2A) developed during the HyperScout GSTP activity will be performed via analysis and comparison between on-ground and on-board processed data. The HyperScout In-Orbit Demonstration will enable us to evaluate the data products and their performance for different applications (agriculture, forestry, disaster management etc). In a next phase, a complete constellation of several HyperScout CubeSats will open new opportunities to obtain global observations with improved spatial and temporal resolution and this in full spectrum. HyperScout in-Orbit demonstration project is being executed under an ESA (European Space Agency) GSTP (General Support Technology Programme) by a consortium led by cosine measurement systems (The Netherlands), including VITO (Belgium), S[&]T AS (Norway) and TU Delft (The Netherlands). 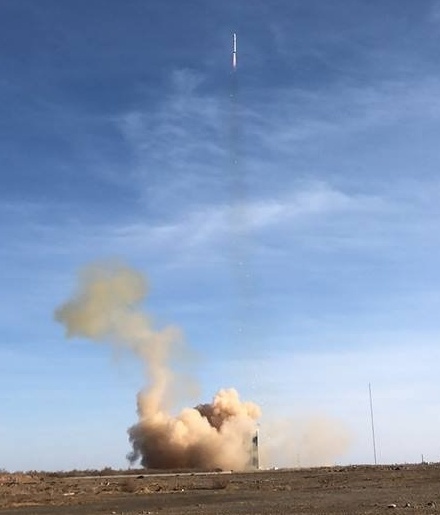 Launch of the HyperScout® February 2, 2018 on board the GomX-4B 6U platform.